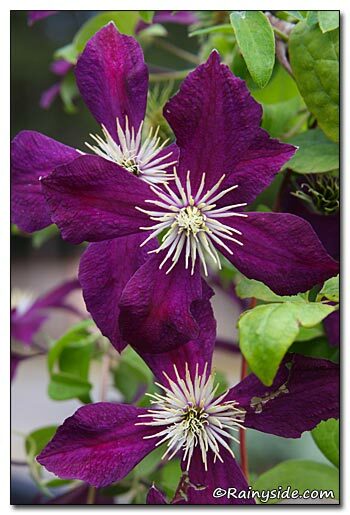 I never met a clematis I didn’t like. 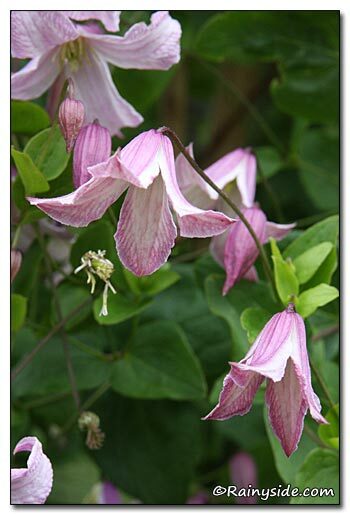 Sure, I swoon over other vines, but if I became a single genus plant collector, I think this would be the divine choice. I photograph them every time the opportunity arises. A trip to Oregon this year gave me a chance to take plenty of pictures. With a new vine arbor that will be about 50 feet long, I am anxious to cover it. 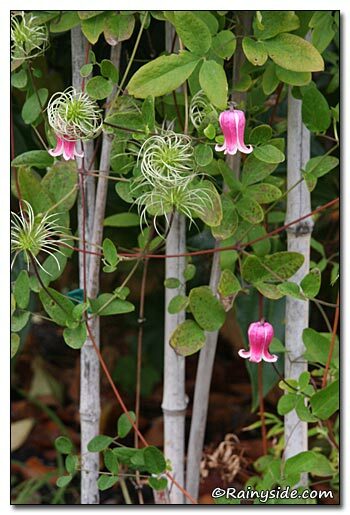 I am sure one lonicera will find a spot to grow too, but I believe the clematis will win out in numbers. 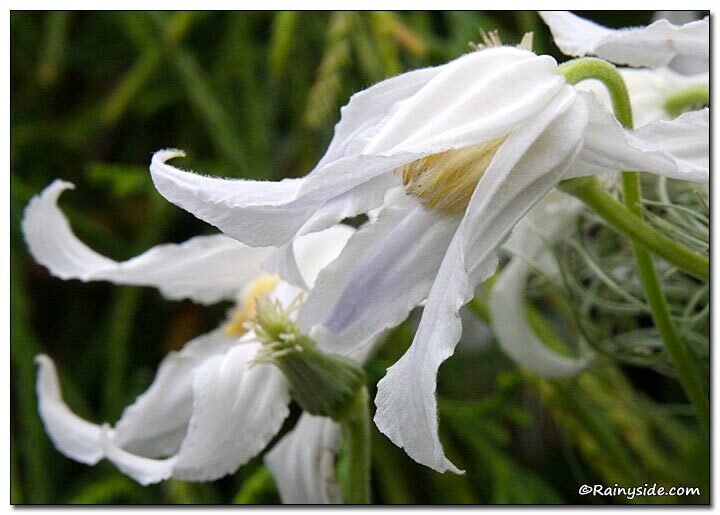 Here are some delightful ones I photographed at Joy Creek Nursery in Scappoose, Oregon. I can’t wait for some of them to come liven up my garden. Oh and here’s a napkin to help you with the drool. 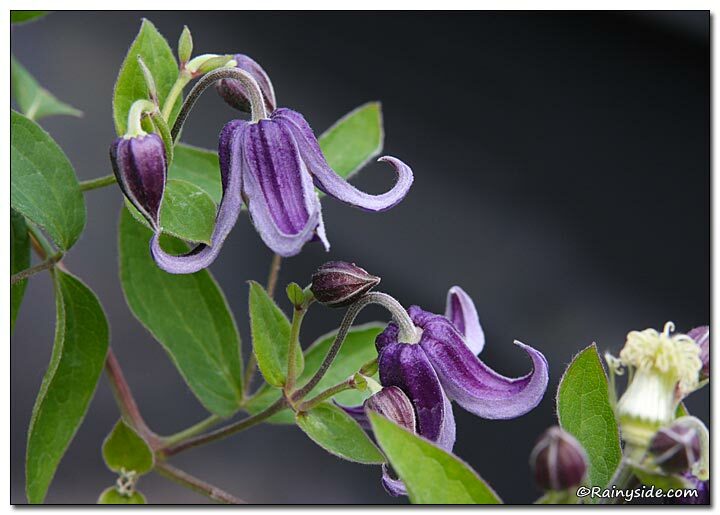 Clematis 'Mikelite' (left) and Clematis 'Myofuku' (right).